Chorionic gonadotropin (CG) first evolved in Aotus and Callicebus, Anthropoid primates. This generated hemochorial placentation, which replaced epitheliochorial placentation. The first CG was close to neutral, pI=6.3, with a circulating ½-life of 2.4 hours. Hemochorial placentation was more efficient leading to brain growth genes promoting brain size in Aotus and Callicebus from 0.07% (in Lemur) to 0.17% of body mass. Then with evolution, the baboon developed a more acidic hCG, this had a longer circulating ½-life, which led to a more efficient hemochorial placentation, which led to brain growth genes promoting the brain size, from 0.17% of body mass to 0.49% of body mass. Then with the evolution of the orangutan, it developed a more acidic CG, pI=4.9, which had a circulating ½-life of 6 hours, which led to more efficient hemochorial placentation, which led through brain growth genes to a brain size of 0.74% of body mass. Then Homo habilis had an even more acidic form of CG, which led to even more efficient hemochorial placentation, which led through brain growth genes to an even bigger brain size of 1.2% of body mass. Finally, humans made a super-acidic form hCG, pI=3.5, which led to super-efficient hemochorial placentation, which led to brain growth genes making a massive brain of 2.4% of body mass. Other factors like bipedalism, fingers and tools all developed with advancing brain size. This is the exact evolutionary pathway of humans. The complex large intelligent brain in humans is the one distinguishing features that differentiates humans from all other living creatures. In examining the evolution of humans, we first look at the development of the human brain. Other human features, like bipedalism, development of hands and use of tools, all followed the development of the human brain, or directly followed the advancement and utility of the human brain. Here the data is presented on how the human brain evolved or came about. This is the essential data on how humans evolved. Generating the final model of human and primate evolution, everything started with the finding that all mammals, primates, hominids and humans had brain growth genes that promoted fetal growth and development of the brain [1-4]. Brain growth and development started with mammals, the brain developing memory, mechanical elasticity, thinking and intelligence. It proceeded to brain growth in early primates and advanced primates, and kept advancing in hominids and humans. Brain growth promoting genes are very much involved in mammal, primate, hominid and human brain development [5,6]. Studies show that deficiencies and mutations in these brain size promoting genes in the human fetus leads to microcephaly disorders in human infants, with brains as small as 1.0% of human body weight, vs. normal human mean brain of 2.4% of body weight. Microcephaly leads to gross mental retardation and premature chromosomal condensation. A total of seven distinct brain growth genes have now been identified coding for brain growth factors in humans, mammals and primates. These are the MCPH1 gene also known as microcephalin gene [7-9], WDR62 gene , CDK5RAP2 gene , CEP152 gene , ASPM gene , CENPJ gene  and STIL gene . Small mutational differences have been noted in MCPH1, ASPM, CD5RAP2, CENPJ genes in early and advanced primates and humans, indicating gene and brain growth factor advancement with evolution [7,8,11,13]. MCPH1 was the first gene in which mutations were directly shown to cause microcephaly [7-9,13,15]. MCPH1, CDK5RAP2, CENPJ and ASPM genes first evolved with Anthropoid primates that evolved 37 million years ago, some of the earliest minimally intelligent primates . As discussed later is this article, Anthropoid primates were the species in which the first CG evolved, or in which human evolution seemingly started [1-4]. Major differences were observed in the MCPH1 gene in Anthropoid primates like the gibbon and cebus monkey, and with advanced Anthropoid primates like orangutan and chimpanzee and with humans . It is proposed that during primate and human evolution the divergence in MCPH1 due to mutations led to functional modifications in the brain. That these modifications are the molecular mechanisms of how MCPH1 contributed to brain enlargement in primates and greater enlargement in human evolution [7,13,16]. Seemingly MCPH1 and other brain growth genes played a key role in the evolutionary enlargement and development of the brain [7,13,16]. It was found by multiple researchers, that the reason the brain did not generally enlarge among mammals, and only started enlarging the brain among advanced primates, regardless of brain growth promoting genes, was because of inefficient fetal feeding systems to support brain growth or brain enlargement, or inefficient epitheliochorial placentation and associated placentation methodologies [17-20]. As shown in Table 1, mammals in general have a brain averaging 0.12% of total body weight. In general, brain size among mammals does not vary beyond 0.07% to 0.19% of total body weight. This is largely because the efficiency of fetal feeding, epitheliochorial placentation and associated placentation methodologies, somewhat limits any evolutionary brain growth gene promoted brain development [17-20]. There are a few exceptions to the brain growth phenomena. These include dogs and cats that developed more efficient zonary placentation, and humans and orangutan that developed much more efficient hemochorial placentation. Table 1: Minimal brain mammals and larger brain mammals. Results are averages for adult male and female [24-26]. As demonstrated, it was strictly with the development of efficient hemochorial placentation in more advanced primates that the advanced primate brain, hominid brain and the human brain developed [17-20]. Early primates such as the Lemur, evolved approximately 55 million years ago and Tarsier, evolved approximately 45 million years ago were limited by inefficient epitheliochorial placentation. The placentation had to improve if the brain was going to grow and develop. A new more efficient placentation system was needed, a system that needed to be deep implanted if it was to work efficiently. Somehow, nature through evolution knows how to create what is needed. A single gene was created by deletion mutation of luteinizing hormone (LH) β-subunit, CG β-subunit. Amazingly, the CG subunit gene coded for two molecules, the hormone CG and hyperglycosylated CG, each having an identical 92 amino acid β-subunit and an identical 145 amino acid β-subunit. Each having the same four N-linked oligosaccharides, and each just differing by the structure of the four O-linked oligosaccharides on the C-terminal peptide of β-subunit . The hormone CG was produced by syncytiotrophoblast cells only bound a CG/LH joint hormone receptor, and the autocrine hyperglycosylated hCG produced by cytotrophoblast cell only antagonized a TGF-β receptor on the cytotrophoblast cell. Amazingly, the hormone hCG constructed the more efficient hemochorial placentation fetal feeding system, and the autocrine hyperglycosylated hCG was an invasive molecule implanting the blastocyst in the uterus and deeply implanting the hemochorial placentation apparatus [22,23]. Two very different and unrelated key molecules needed for efficient fetal feeding, remarkably all coded for in one set of CG genes. Simply made by a deletion mutation on the duplicated LH β-subunit gene. What an amazing feat of nature. Recently, scientists have traced the origin of Crawford et al. traced CG back to baboon CG (evolved 20,000,000 years ago), showing the major amino acid changes that occurred on the β-subunit. Maston and Ruvolo . traced the root species back further to Anthropoid primates, to Aotus and Callicebus (evolved 37,000,000 years ago), showing that immediately prior species, the Tarsier family predated the evolution of CG, only producing LH. It was thought that CG first evolved with Aotus and Callicebus which evolved around the same time, 37 million years ago. Since both species evolved 37 million years ago it is unclear which first evolved CG, Aotus or Callicebus. One must have come first and the other species closely followed with the CG expression attribute. It was with Anthropoid primates whichever came first, Aotus or Callicebus, that the critical brain growth genes, MCPH1, CDK5RAP2, CENPJ and ASPM, first evolved . As described below, this is seemingly where the evolution of humans first started. As proposed by Fiddes and Goodman , this is where the cDNA of the β-subunit of LH was deletion mutated, or read through into the 3’ untranslated region, or extended from 121 amino acids (LH β-subunit) to 145 amino acids (CG β-subunit). 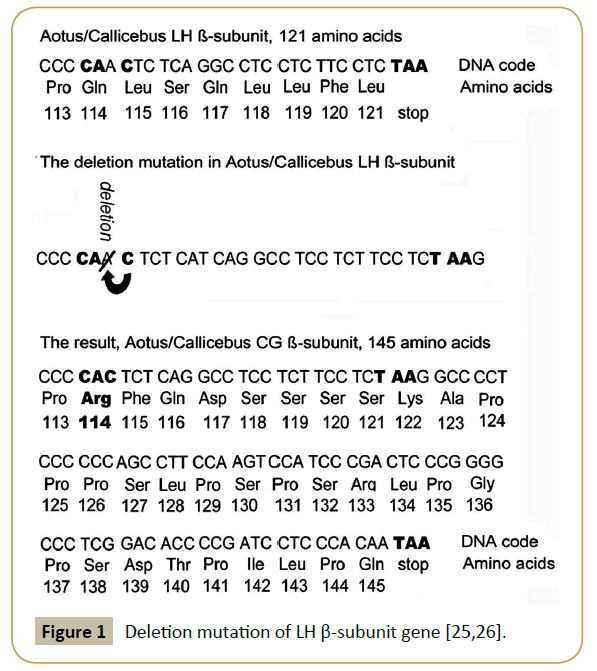 (Figure 1) illustrates the pathway of deletion mutation of LH β-subunit gene in Aotus or Callicebus . Figure 1 describes the LH β-subunit gene duplication and deletion mutation that must have occurred in Aotus or Callicebus, whichever was first. The deletion mutation changed amino acids 114-121, changed the termination codon to an amino acid, and led to a C-terminal extension covering amino acids 122-145. A further termination codon was reached at amino acid 146 . This generated a new β-subunit, named CG β-subunit, 145 amino acids, which combined with the common β-subunit to form CG . Figure 1: Deletion mutation of LH ß-subunit gene [25,26]. LH was a very neural protein, isoelectric point (pI) was 8.0 (25). It was changed by deletion mutation into CG, pI = 6.3 . Anthropoid primate CG, like Anthropoid primate LH was very neutral and not very potent (Table 2). It was sufficient, however, to start hemochorial placentation as a new more efficient fetal feeding system in Anthropoid primates, Aotos and Callicebus . Table 2: The evolution of CG. Shown in bold is species in which all information is available on CG. Shown in regular text are established evolutionary between links between species for which information is available. Some species like chimpanzee, orangutan, bonobo and lemur are divergences and not direct lines of human evolution. The abbreviation ya is years ago, ND is not determined, as is assumed. Human evolution as indicated by species, pI and brain sizes are published data [24-26]. Laurence A. Cole PhD was completing research at this time with human CG (hCG) biological activity. He had shown that hyperglycosylated hCG was an overly glycosylated independent hCG variant that is an autocrine cytokine binding a transforming growth factor-β2 (TGF-β2) receptor. That it promoted cytotrophoblast cell villous cell production in the hemochorial placentation apparatus . The villous tissue was the fetoplacental core of the hemochorial placentation apparatus  (Figure 2). Figure 2: Chamber of hemochorial placentation. It was already known that hCG promoted spiral artery growth to reach hemochorial placentation chambers [28,29], that hCG promoted the fusion of cytotrophoblast cells providing a skin around the villous cells , and that hCG developed an umbilical circulation linking hemochorial placentation with the fetus [31,32] (Figure 2). Putting this all together it was obvious that hCG and hyperglycosylated hCG together promoted formation and growth of all aspects of hemochorial placentation apparatus. Laurence A. Cole PhD made the claim that construction of the hemochorial placentation apparatus was clearly a major function of the hormone hCG and the autocrine cytokine hyperglycosylated hCG . Amazingly, just as CG and hyperglycosylated hCG together constructed hemochorial placentation, hyperglycosylated hCG deeply implanted the functional structure, deep in the uterus . hCG was clearly a two glycoprotein, hormone hCG and autocrine hyperglycosylated hCG, everything to do with hemochorial placentation complex. Having discovered that hCG and hyperglycosylated hCG function together in creating hemochorial placentation, and after reading carefully all pertinent manuscripts on human evolution [5-7,9,11,13,15-20,24-26], it became obvious to Laurence A. Cole PhD that advancement of CG efficiency through evolution and advancement of CG efficiency through evolution must have driven advancement of hemochorial placentation efficiency and hemochorial placentation efficiency, must have permitted brain growth genes advancement and brain growth gene advancement or growth and development of the human brain. This was the obvious theorem to Laurence A. Cole PhD for the evolution of humans. As first noted, the introduction of hemochorial placentation in Aotus or Callicebus whichever came first, drove the first brain expansion, from a brain 0.07% of total body weight in Lemur or Tarsier to a brain 0.17% of body weight in Aotus and Callicebus, a 2.4X expansion. This was the first primate species that started hemochorial placentation (Table 2). 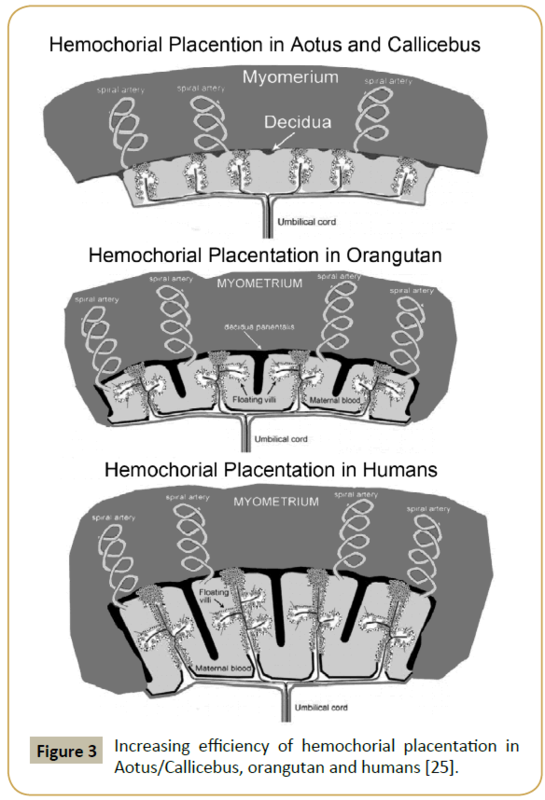 Hemochorial placentation was then promoted with advancing primates from Aotus and Callicebus onto humans by much more efficient CG and by much more efficient CG to have more efficient fetal feeding and more efficient fetal feeding, permitting the 7 brain growth genes to act and promote the growth of the fetal brain. With species that followed Anthropoid primates on route to humans, CG became more and more acidic (Table 2), moving from pI = 6.3 in Aotus and Callicebus all the way to pI = 3.5 in humans [1-4]. As the acidity of CG increased, the circulating ½-life of CG increased in unison, increasing from 2.4 hours in Aotus and Callicebus to 36 hours in humans (Table 2) [1-4]. With the increasing circulating ½-life CG became more biologically potent, more biologically potent and more potent. With the increasing potency CG and hyperglycosylated CG made deeper implanting more and more efficient and hemochorial placentation more efficient and more efficient (Figure 3). With this increasing efficiency the 7 brain growth genes promoted brain size, promoted brain size and promoted brain development. The brain size developed from 0.17% of body weight in Aotus/Callicebus through to 0.47% of body weight in Baboon (evolved 20 million years ago) through to 0.74% of body weight in Orangutan (evolved 12 million years ago) through to 1.2% of body weight in Homo habilis (evolved 2 million years ago) and on to 2.4% of body weight in humans (evolved 200,000 years ago) (Table 2) [1-4]. Figure 3: Increasing efficiency of hemochorial placentation in Aotus/Callicebus, orangutan and humans . Examination of the β-subunit C-terminal peptide, β106-145, amino acid sequence of CG β-subunit in Aotus and Callicebus, and the amino acid sequence in Macaque, Baboon and Orangutan primates and humans (Table 3), showed that 17 amino acids (Aotus) and 18 amino acids (Callicebus) had to change to convert the pI = 6.3 molecule to the pI = 3.5 molecule (17 or 18 of 39 amino acids or 44% and 46% of amino acids). There were also 8 intermediate amino acid changes, or 25 or 26 amino acid changes in total. In addition, 3 additional acidic sugar side chains were added to hCG β-subunit, not present on Aotus and Callicebus molecules. These changes had to occur over the approximately 58 species (estimate, 11 species directly linking humans to Sahelanthropus tchadensis, or over 7 million years, 11 x 37/7.0 or estimated 58 species linking humans to Aotus and Callicebus, or over 37 million years) directly linking Aotus and Callicebus with humans. Table 3: Amino acid sequences of the C-terminal peptide of CG ß-subunit ß106-145 among human and primate species. Amino acids are abbreviated, A is alanine, C is cystine, D is aspartic acid, E is glutamic acid, F is phenylalanine, G is glycine, H is histidine, I is isoleucine, K is lysine, L is leucine, N is asparagine, P is Proline, Q is glutamine, R is arginine, S is serine, T is threonine, and Y is tyrosine [24-26]. It is concluded that human evolution started with Aotus or Callicebus 37 million years ago. That the appearance of CG and it super-evolution to an acidic form of CG drove more efficient and more efficient hemochorial placentation or fetal feeding leading to brain growth by brain growth genes. The developing acidity of CG was due to 25 or 26 amino acid changes, plus the addition of 3 acidic sugar side chains. Evolutionary advancement of brain growth genes also contributed to brain advancement in advance primate [1-4]. Clearly, CG advanced continuously over approximately 58 species linking Aotus and Callicebus with humans, becoming more acidic and more acidic, pI = 6.3 to pI = 3.5. The acidic change was due to changes in 25 or 26 amino acids plus the addition of 3 sugar side chain groups. It is inferred that these evolutionary changes involved many or most of the approximately 58 in-between species. Each change promoting the acidity of CG, promoting the efficiency of hemochorial placentation affectively allowing brain growth genes to drive further and further advances in the development of the brain. This creates an enigma, breaking all the rules of evolution, and all the rules of biochemistry and cell biology. Theoretically, the rules of evolution, biochemistry and cell biology claim that evolutionary changes are random, and do not occur in one gene repeatedly, such as the repeated changes in CG acidity, hemochorial placentation and brain size, species after species as reported here. As many as 200 different changes, like longer neck, bigger leg muscle, change in digestive enzyme occur species to species, and not more acidic CG, more acidic CG, more acid CG in as many as 58X species repeated, as reported here. Evolution, biochemistry and cell biology is never planned as is seemingly reported here. Species to species evolution involving CG becoming more acidic, more acidic and more acidic as many as 58X over is reported here (Table 2). This is like a plan for neutral CG to become more acidic, more acidic and then super acidic. hCG is the most acidic molecule in the human genome. In addition, hemochorial placentation becoming more and more efficient 58X over is also like a plan, as is the brain to grow and advance 58X over is also like a plan to create an intelligent species with a super-size brain as found in humans. That hCG is the most acidic molecule in the human genome indicates that humans may be the end of the long line after 58 advancements, again indicating a plan. It is concluded that this proposal indicates a major enigma of ridiculously repeated evolutionary changes, 58X, and a clear evolutionary plan. Interference in evolution must have occurred. Planning also seemingly occurred in human evolution Aotus/ Callicebus, 37 million years ago to humans. The Bible claims that God controlled the creation of humans, it is inferred from this research that God changed the rules of evolution, the rules of biochemistry and the rules of cell biology to create humans. At this point I leave the interpretation of God’s role in human evolution to the beliefs of the reader. Here it is discussed that hCG and hyperglycosylated hCG are the most acidic molecules produced in humans, more acidic than any other molecules produced by the human genome. Humans are seemingly the end result of a long 37-million-year program, in which CG becomes stepwise more acidic and more acidic. CG and hyperglycosylated CG ends up as the most acidic molecules produced by humans, indicating that humans are at the end of an acidity road, or that no species will evolve by this means beyond humans. Advancement by other mechanisms, like structural changes to the brain, may be possible. It is concluded that human evolution started with Aotus/ Callicebus 37 million years ago. That the appearance of CG and it super-evolution to an acidic form of CG drove more efficient and more efficient hemochorial placentation or fetal feeding which led to brain growth and brain growth by brain growth genes. The developing acidity of CG was due to 25 or 26 amino acid changes, plus the addition of 3 acidic sugar side chains. With brain growth, advanced primates and hominids developed bipedalism, hand flexibility and tool use. Evolutionary advancement of brain growth genes also contributed to brain advancement in advanced primates, hominids and humans [1-4]. The enigma that the theorem created, and the supposed planning concepts leads the research to the possibility that God was involved as specified in the Bible. The magic of 58 sequential species, with 25 or 26 amino acid changes, and 3 major carbohydrates changes linking Aotus and Callicebus with humans suggest God’s involvement and planning. The appearance of a magic gene, hCG β-subunit a gene coding for two molecules, the hormone CG and the autocrine hyperglycosylated CG, fulfilling all needs for a more efficient form of placentation also suggests God’s involvement. I leave this interpretation in human evolution and God, without saying more, to the beliefs of the reader. Was this simple evolution or evolution and God? Cole LA, Khanlian SA, Kohorn EI (2008) Evolution of the human brain, chorionic gonadotropin and hemochorial implantation of the placenta: Insights into origins of pregnancy failures, preeclampsia and choriocarcinoma. J Reprod Med 53: 549-557. Cole LA (2009) hCG and hyperglycosylated hCG in the establishment and evolution of hemochorial placentation. J Reprod Immunol 82: 112-118. Cole LA (2014) The hCG Group: The Key Molecules in Human Evolution, Human Life, and Human Death. Curr Obstet Gynecol Reps 3: 91-101. Cole LA (2015) The evolution of the primate, hominid and human brain. Primatology 4: 124. Gilbert SL, Dobyns WB, Lahn BT (2005) Genetic links between brain development and brain evolution. Nat Rev Genet 6: 581-590. Keverne EB, Martel FL, Nevison CM (1996) Primate brain evolution: geneticand functional considerations. Proc Biol Sci 263: 689-696. Shi L, Li M, Lin Q, Qi X, Su B (2013) Functional divergence of the brain-size regulating gene MCPH1 during primate evolution and the origin of humans. BMC Biol 11: 62. Wang YQ, Su B (2004) Molecular evolution of microcephalin, a gene determining human brain size. Hum Mol Genet 13: 1131-1137. Jackson AP, Eastwood H, Bell SM, Adu J, Toomes C, et al. (2010) Identification of microcephalin, a protein implicated in determining the size of the human brain. Am J Hum Genet 71: 136-142. Nicholas AK, Khurshid M, Désir J, Carvalho OP, Cox JJ, et al. (2010) WDR62 is associated with the spindle pole and is mutated in human microcephaly. Nat Genet. 42: 1010-1014. Bond J, Roberts E, Springell K, Lizarraga SB, Scott S, et al. (2005) A centrosomal mechanism involving CDK5RAP2 and CENPJ controls brain size. Nat Genet 37: 353-355. Guernsey DL, Jiang H, Hussin J, Arnold M, Bouyakdan K, Perry S, et al. (2010) Mutations in centrosomal protein CEP152 in primary microcephaly families linked to MCPH4. Am J Hum Genet 87: 40-51. Kouprina N, Pavlicek A, Mochida GH, Solomon G, Gersch W, et al. (2004) Accelerated evolution of the ASPM gene controlling brain size begins prior to human brain expansion. PLoS Biol 2: E126. Kumar A, Girimaji SC, Duvvari MR, Blanton SH (2009) Mutations in STIL, encoding a pericentriolar and centrosomal protein, cause primary microcephaly. Am J Hum Genet 84: 286-290. Barton NH, Briggs DEG, Eisen JA, Goldstein DB, Patel NH (2007) Evolution, Cold Spring Harbor Laboratory Press, United States. Montgomery SH, Capellini I, Venditti C, Barton RA, Mundy NI (2011) Adaptive evolution of four microcephaly genes and the evolution of brain size in anthropoid primates. Mol Biol Evol 28: 625-638. Martin RD (1981) Relative brain size and basal metabolic rate in terrestrial vertebrates. Nature 293: 57-60. Cunnane SC, Harbige LS, Crawford MA (1993) The importance of energy and nutrient supply in human brain evolution. Nutr Health 9: 219-235. Gibbons A (1998) Solving the brain’s energy crisis. Science 280: 1345-1347. Martin RD (1996) Scaling of the mammalian barrier: the maternal energy hypothesis. News Physiol Sci 4: 149-154. Elliott MM, Kardana A, Cole L (1997) Carbohydrate and Peptide structure of the a- and ß-subunits of human chorionic gonadotropin from normal and aberrant pregnancy and choriocarcinoma. Endocrine 7: 15-32. Bahado-Singh RO, Oz AU, Kingston JM, Shahabi S, Hsu CD, et al. (2002) The role of hyperglycosylated hCG in trophoblast invasion and the prediction of subsequent pre-eclampsia. Prenat Dagn 22:478-481. Cole LA (2018) The Minute Structural Difference Between the Hormone hCG and the Autocrine Hyperglycosylated J Glycobiol 6: 1-3. Crawford RJ, Tregear GW, Niall HD (1986) The nucleotide sequences of baboon chorionic gonadotropin beta-subunit genes have diverged from the human. Gene 46: 161-169. Maston GA, Ruvolo (2002) Chorionic gonadotropin has a recent origin within primates and an evolutionary history of selection. Mol Biol Evol 19: 320-335. Fiddes JC, Goodman HM (1980) The cDNA of the ß-subunit of human chorionic gonadotropin suggests evolution of a gene by readthrough into the 3’-untranslated regions. Nature 286: 684-687. Cole LA (2013) hCG and Hyperglycosylated hCG, Promoters of Villous Placenta and Hemochorial Placentation. 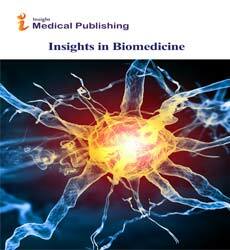 Placenta: Functions, Development and Disease, Nova Publishers. Toth P, Lukacs H, Gimes G, Sebestyen A, Pasztor N, et al. (2001) Clinical importance of vascular hCG/LH receptors-A review. Reprod Biol 1: 5-11.29. 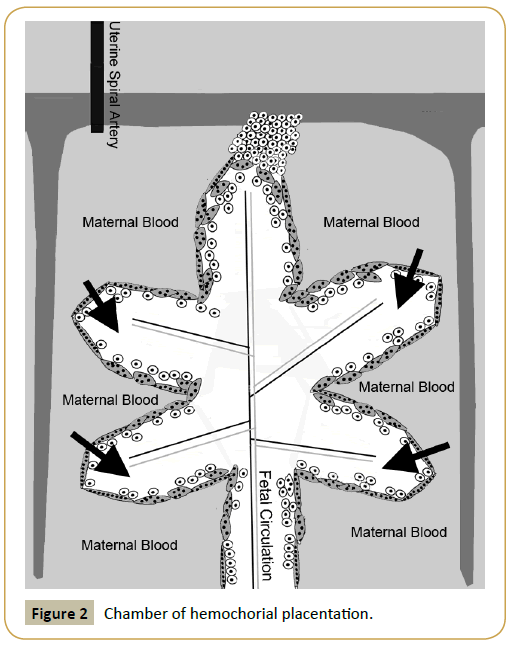 Burton GJ, Jauniaux E, Watson A (1999) Maternal arterial connections to the placental intervillous space during the first trimester of human pregnancy: The Boyd collection revisited. Am J Obstet Gynecol 181: 718–724. Shi QJ, Lei ZM, Rao CV, Lin J (1993) Novel role of human chorionic gonadotropin in differentiation of human cytotrophoblasts. Endocrinol 132: 387-395. Rao CV, Li X, Toth P, Lei ZM (1995) Expression of epidermal growth factor, transforming growth factor-alpha and their common receptor genes in human umbilical cords. J Clin Endocrinol Metab 80: 1012-1020. Rao CV, Li X, Toth P, Lei ZM, Cook VD (1993) Novel expression of functional human chorionic gonadotropin/luteinizing hormone receptor in human umbilical cords. J Clin Endocrinol Metab 77: 1706-1714.